America is in danger, “Black Identity Extremists” are targeting law enforcement, in retaliation of the perceived unjust killing of blacks by police officers, another reason to fear African-American empowerment. The FBI coined the term Black Identity Extremists and believe that black protesters are a threat to national security. An attempt from blacks in America to assemble and exercise their First Amendment right is once again labeled as a danger and written off as unconscionable violence and unrest. Movements such as Black Lives Matter seem to always be met with direct opposition to the injustice in question. In this case the mantra the opposition uses is “All Lives Matter.” This is common sense, it is simply an attempt to diminish the legitimacy of the movement, using a “we all have problems” approach. Why is this type of fear mongering utilized when injustice in the black community is in question? Where are these tactics when it comes to hate groups such as the Neo-Nazis, the Ku Klux Klan and other white supremacists? These groups spew hatred and bigotry, however, they are labeled as “very fine people,” by President Trump. “You had some very bad people in that group. You also had some very fine people on both sides,” he said in a speech addressing the “Unite the Right” rally that took place in August 2017 in Charlottesville, North Carolina. This rally brought out white supremacists and Nazis to protest the taking down of a confederate statue, the mob marched, used hate speech, offensive language and carried assault rifles as a means of intimidation. Fifty years ago when the Black Panther Party marched with weapons and chanted, aiming to protect their own neighborhoods from police brutality and to protest racial injustice, they were not labeled as “good people.” Instead they were labeled “without question, the greatest threat to the internal security of the country,” in the opinion of J. Edgar Hoover, director of the FBI in 1969. Even with nearly half a century between the two events, it seems to be a blatant contradiction that one group can be labeled as very fine people and another group can be labeled a threat to the country. Black empowerment and liberation movements constantly seem to fall victim to a gross double standard. The FBI initiated an operation called COINTELPRO, which stands for “Counter Intelligence Program,” a plan to infiltrate the Black Panther Party and dismantle it from the inside using extreme and oftentimes illegal practices. Their attempts to infiltrate were successful, so much so that they were able create discord in the ranks of the party that led to the assassination of two notorious party leaders, Fred Hampton and Mark Clark, when more than a dozen police officers stormed their Chicago apartment and killed them in a raid while they slept. An investigation later showed that only one bullet was ever fired by anyone inside the apartment, while a barrage of bullets were fired by police. 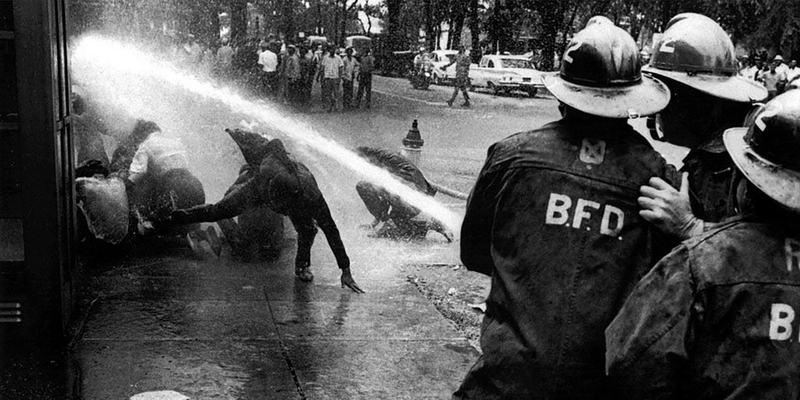 The Civil Rights Movement was met with strong resistance from state governments and law enforcement. Any fight for justice will have its challenges but the obstacles for black justice seem much more difficult. Martin Luther King Jr.’s family still believes that James Earl Ray was framed for the assassination of King. They believe there is sufficient evidence that would indicate it was carried out by, none other than, the FBI. The terror group known as the KKK has existed since 1865, the same year the Civil War ended, which officially freed the slaves. This further shows that whenever black liberation is in motion there is always a force that pushes back with extreme vigor. The KKK has received some reprimands from the government, however they are still allowed to operate without a government-approved program to infiltrate and destroy from the inside, or any assassinations to speak of. The double standard when it comes to empowerment and social justice is easily perceived if we take a brief objective look at history. The cause for this is not clear, but hopefully in the near future there will be one standard by which all movements and protests are handled by the media, law enforcement and the government.